Nowadays, the design is experiencing a phase of prosper. The shape and forms which surround us directly affect our visual and emotional comfort. That is why modern lighting is in a dead heat with other fields of refined and advanced designs, such as coffee machines or vehicles. Particularly interesting lighting solutions are glass luminaires that neatly combine the decorative function with comfortable light. 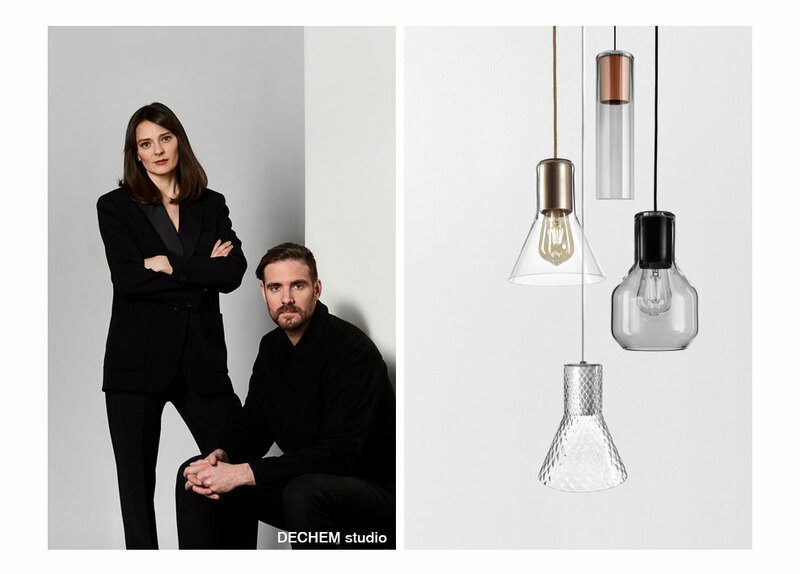 That is why we are expanding our Modern Glass collection by new products: modern TUBE wall lamps and hanging compositions – perfect above-the-table lamps. 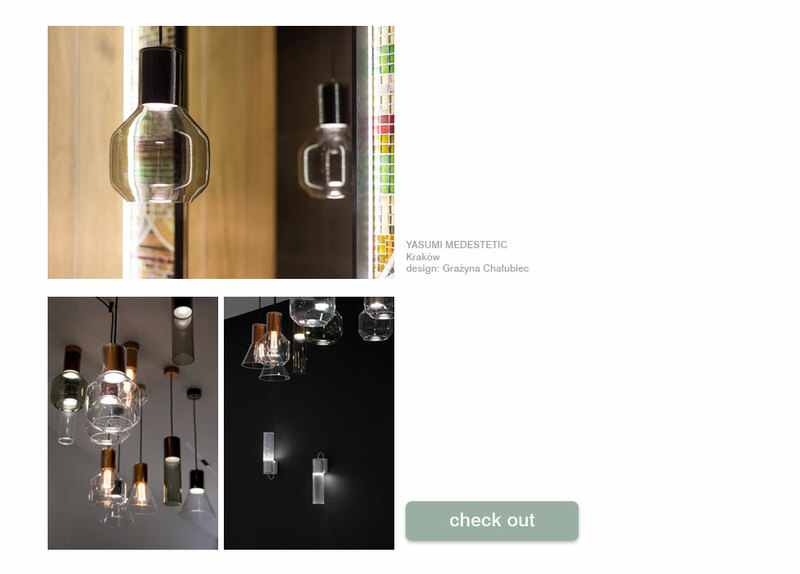 We now present modern lighting in a designer version. The Modern Glass collection was created in cooperation with the Czech studio DECHEM. Michaela and Jakub met at the Nowoborska School of Glass, where they both fell in love with glass. From 2012 they co-create a design office. In cooperation with us, they have tried and succeeded in combining modern lighting with glass - one of the oldest inorganic materials. The collection is based on the existing PET system. 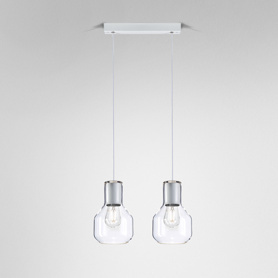 Its minimalistic lighting combined with glass has taken on an entirely new expression. The history of Modern Glass is the history of the search for the archetypal form of light and shape that, while remaining pleasantly familiar, brings a fresh look of the glass lamps. - At the beginning we watched the play of light on the glass - recalls Jakub Jand'ourek, one of the designers. 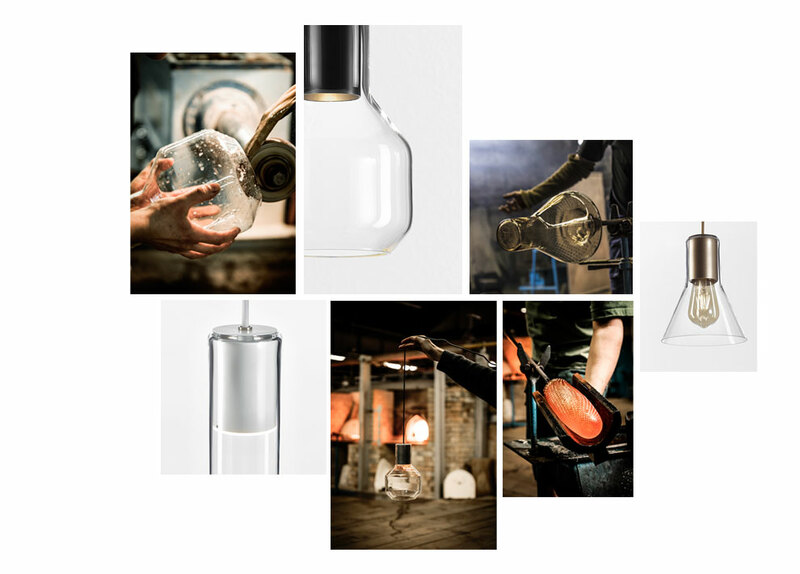 During experiments with different shapes and thicknesses of glass, it turned out that the most interesting effects are obtained in simple forms of a tube or cone. The parameters of the glass are vital. - Glass of the right thickness allows the light to gently float on the surface of the luminaire – adds the designer. Modern Glass shades are hand-made according to the original, over a century old technology. Thanks to the hand of the craftsman, each shade has its own unique character. Its interior is made of aluminum elements with a minimalistic form linking it to the AQForm PET collection. 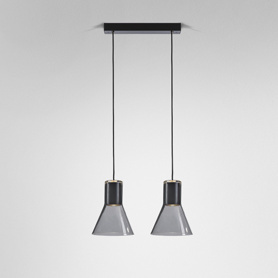 This year, hanging and ceiling glass luminaires are supplemented with a modern wall version. MODERN GLASS Tube LED 230V is an interesting choice for decorative lighting of any interior, which needs a bit of an atmosphere. The soft LED light reflects off the wall creating a pleasant light scene. 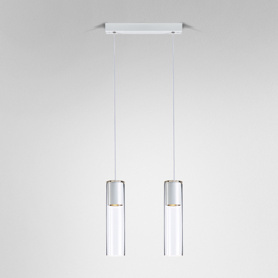 The glass hand-made shade adds character while the minimalistic interior completes the luminaire’s form. Black aluminum body combined with subtle glass brings to mind the glamour style. It’s the perfect wall lamp for the living room or restaurant. 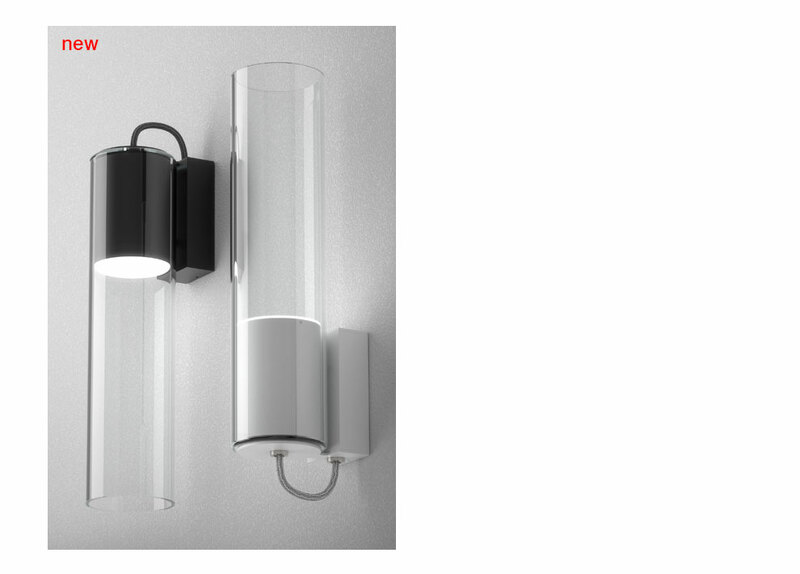 Modern Glass wall lamp is available with a Tube shade. This luminaire offers a high quality integrated LED light source (CRI> 90) with low operating temperature. The award-winning collection will also be enriched by compositions of suspended sets. 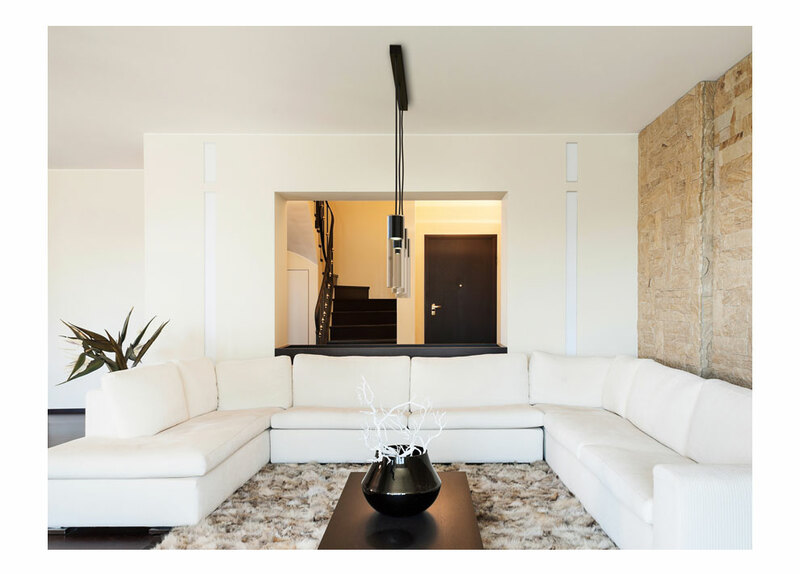 We often search for a large lamp above the table or effective lighting solution for the living room – such roles can be well played by a set of two or three hanging Modern Glass luminaires. Mounting method on a single rectangular element not only simplifies the assembly process, but also emphasizes the elegance factor. The fixtures will perform well as lighting over a table or desk top. 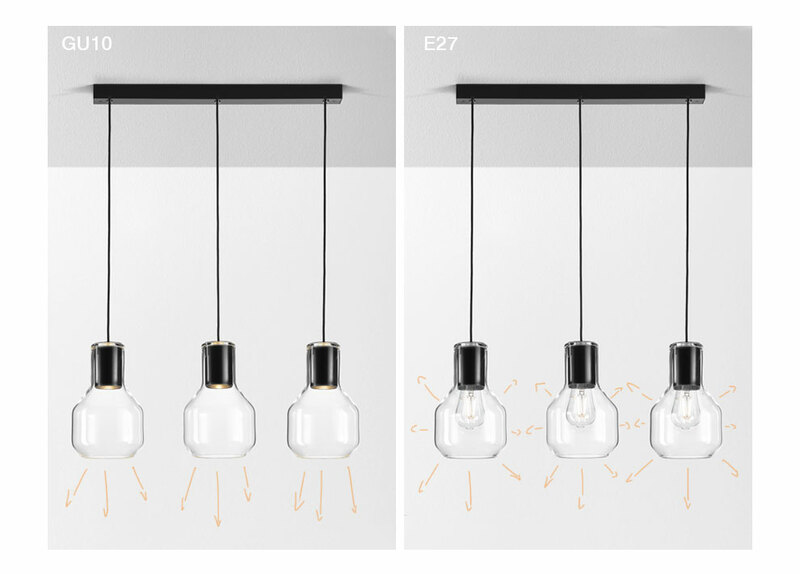 Modern Glass hanging compositions are adapted to replaceable light sources with the E27 or GU10 base. The first option allows you to use a decorative light source, also in the "vintage" version. In this variant Modern Glass emits light in all directions, while precise lighting of the area under the table top could be ensured by popular GU10 lamps. In this variant, the light source is somewhat recessed into the frame and the light is directed downwards in the form of a beam. That's why Modern Glass with the GU10 socket is an interesting hanging lamp to mount above the table.